In most cases, children are not sure about what they exactly require in life. Sometimes, they want to go for a career because it is considered reputable or high-flying or simply because mum or dad is working in the same field. One of the easiest ways of guiding your children through the right career path is helping them identify their passion or natural talent. As a parent, nurture this interest and wait to see if the child might want to pursue this as a long-time career. The best thing about converting your passion into a career is that the skills flow freely, and it comes with tenacity to persevere to greater heights. According to one study, as many as 80% of people are unhappy with their current line of work. That’s one-in-five people that made an incorrect decision earlier on in their lives that led them to the point of being unhappy with their day job. We know that deciding on a future career is a hard thing to do, and that’s without committing to it and pursuing it. So it is so important to get the decision right as some career paths can take decades. 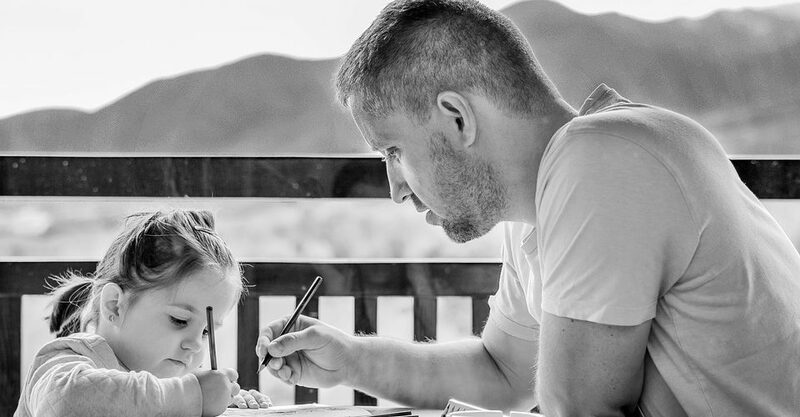 You’ve come this far in your own career, so for your children, you have to use your world experience gained to date to help them with their choices. Small decisions in your child’s formative years have a huge impact later on in life. Use the quick infographic below so your loved ones don’t fall into the trap of an unhappy work-life as they grow older. Who knows what little bit of knowledge below could have a real lasting impact on the long-term happiness of your offspring. There are tips on strategies that you or you child can carry out, tips for you specifically as parents and also general facts about careers. If you have any questions please don’t hesitate to contact us, and enjoy reading!